TBR – Who Were the Hittites? 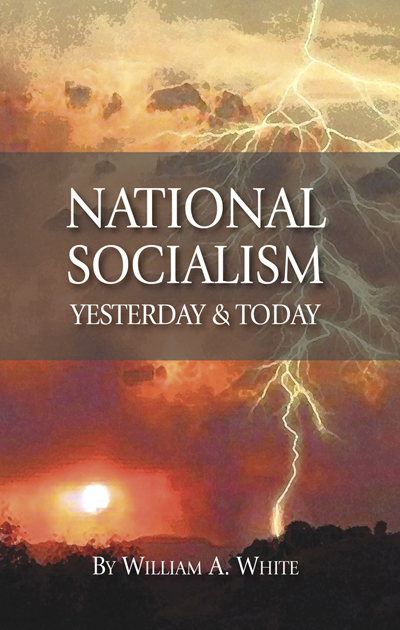 National Socialism Yesterday and Today is a radical book, but it is one that someone has needed to write for decades. In this small but powerful book, author and philosopher William A. White discusses national socialism as political philosophy that in its purest essence brings order to the state while empowering and enriching—culturally and financially—the state and its people at the same time. This is the direct antithesis of the American state today which punishes its people with police state brutality, steals their money through unfair forms of taxation, listens in on every possible private communication, tortures those who rise up against it and generally turns the natural order upside down. But national socialism is not an invention of the modern era. There were great leaders of the past who employed their version of national socialist theory while they reigned. These men were few and far between, but their terms in power were almost unanimously hailed as “golden times” for the citizenry. The names of these avatars who transformed their states into ones serving all stations of society live on even today, though their reputations have been slandered or their names nearly erased from history by their contemporaries. But what would happen if a national socialist state developed in America today? How would it be instituted? What changes would it bring to the nation? What would happen to society? What would the goals of the new state be? How would the party be organized? What ideals should its Leader exemplify? What is to be done with the corrupt judiciary? What kind of budget will a new National Socialist Party and its affiliates need? How would local chapters be organized? How will initiates be chosen? The PDF file below contains Judge Turks concluding remarks in regards to sentencing in the Roanoke case, saying that if it had been anyone other than Bill White, it would have been classified as a domestic/civil case and not the more serious federal charge of extortion. The relevant part is highlighted. The Party replays the “Halloween 2012” episode since it contains a healthy amount of “education vs. action” in addition to some interesting (though not at all seasonally appropriate) entertainment value.